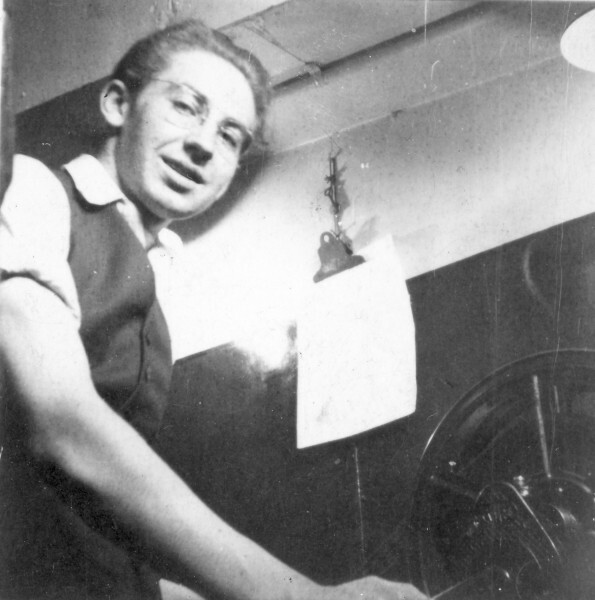 Apprentice projectionist Ronald Grant, at work c.1953. The collection grew far beyond its origins as an enthusiast’s treasure trove to become an extensive archive of historical and social importance, and Ronald Grant and Martin Humphries established the Cinema Museum in 1986 to safeguard its future. They have worked together throughout to build up and look after the collection, and continue to oversee the Museum to this day. It has been a long journey, but the enterprise has made tremendous progress, and it has attracted the help and goodwill of a great many cinephiles along the way. See also our archive of Past Events. In 1998, on the 100th anniversary of Charlie Chaplin’s first stay in the Lambeth Workhouse, we created an exhibition about the Workhouse, Chaplin and his time in Lambeth. In 1998 we contributed to an exhibition by the St. Albans Museum – ‘From Alpha To Odeon’ – covering film activity in the town. Alpha Films, which was based there early in the 20th century, was the company of Arthur Melbourne-Cooper, an important pioneer filmmaker. In 1996 Gloria Stuart, born in 1910 and a leading film star in the 1930s, came to visit us at the Fire Station (one of our previous homes). In 1996 we were asked by Ealing Council to mount an exhibition in Ealing Town Hall to mark the anniversary of Ealing Studios. A selection of photos from our exhibition at the Granada Studio Tour, Manchester, which ran from 1995 to 1998. A commemorative planting, in 1995, of the lilac variety 'Blanche Sweet', named after the silent film star. A 1990 exhibition at the silent film festival in Pordenone, northern Italy.